Jacobs decided to relocate their existing corporate headquarters in Pasadena to another location in Pasadena located at 135 E. Lake. The building that was chosen had a set lease commencement date which meant that Jacobs needed to be in their new space with no delay so that they would not have to pay a holdover on their existing space. 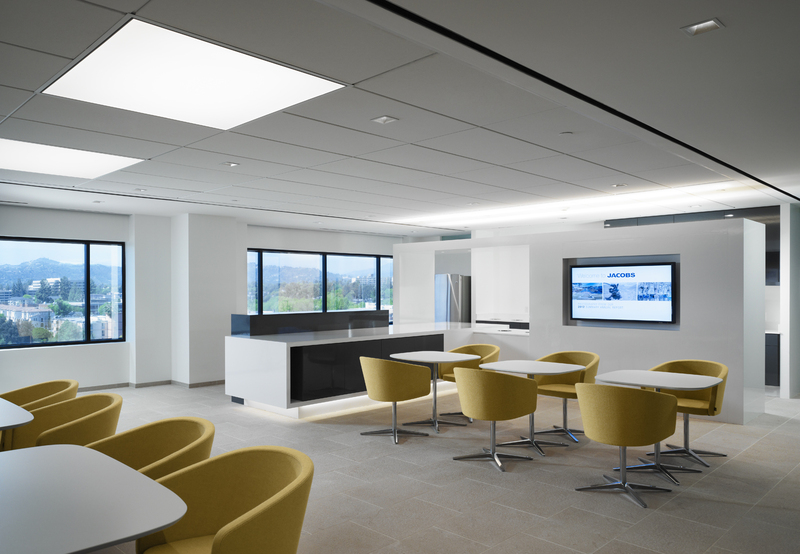 The design team, led by Richard Keating, was given the task to create a more collaborative office feel and to have a continuous theme throughout the four (4) floors that was to be Jacobs’s new home. This new office concept would be utilized at all of Jacobs Engineering offices globally. Jacobs wanted to change the look and the way that business was conducted on a daily basis with their staff and to give a more modern look that would set the tone for their business model in the future. The futuristic design truly was a masterpiece and has inspired other designers and firms to take notice. The challenge that Turelk and the client faced was twofold. Time was extremely precious as we did not want to create a holdover situation where our client was forced to pay extra rent for not moving in on time and to adhere to the integrity of the design to a building that was not conducive for this type of build. The floors of the building were extremely uneven and the ceiling heights were not consistent. The solution was that we needed to even out all the floors to properly set the stone tiles and allow the glass doors to open and close under a flush surface. Normally this process would take two weeks. Without any extra time on this project, we worked two shifts, six days a week until we completed the project on time and Jacobs met their move in date. The truly collaborative effort between Turelk, Turelk’s subcontractors and Jacobs on this condensed 12 week schedule was the only way that this project succeeded. 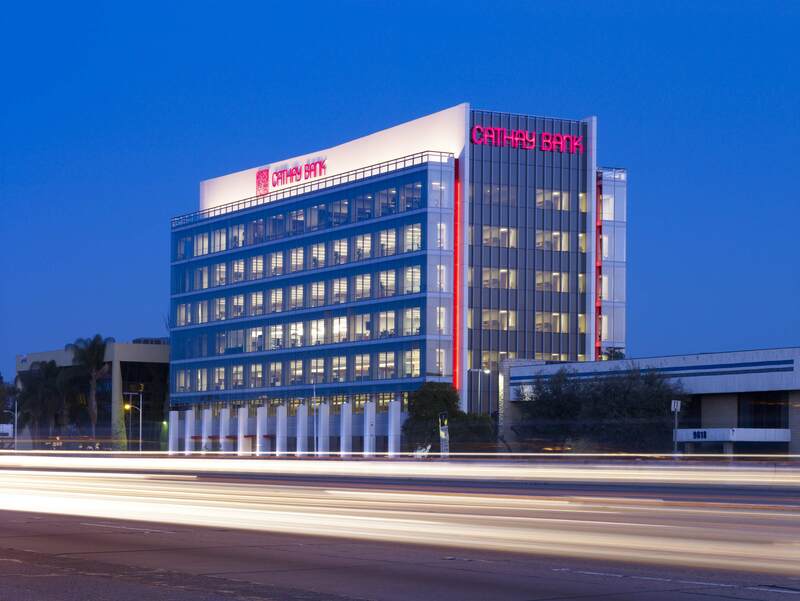 Cathay Bank decided to move their existing corporate headquarters from China Town, Los Angeles, to a 7-story building east of Los Angeles in El Monte, CA. The goal of the project was to reflect the strength and stability of the bank, while giving their brand a more contemporary look and feel. 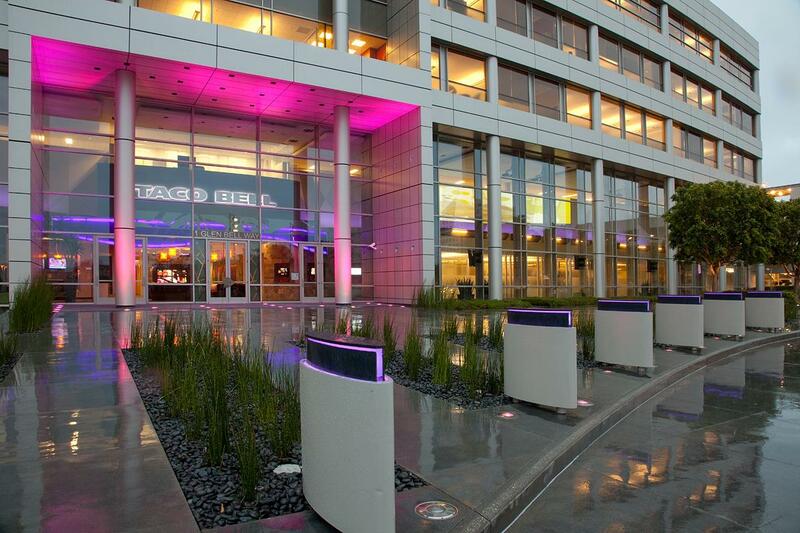 Gensler was hired as the architect to completely transform the dated building into a sleek, Class-A building, with a beautiful floating glass facade and Asian theme. The challenges posed on this project were maintaining the design integrity of the interiors vs. the challenges of the existing building core systems; such as the building HVAC duct work system. How we accomplished this was by communicating together on the site with all team members present to field measure, sketch, create overlays and resolve all challenges that arose. None of the concrete columns throughout the building were squared or plum which created many challenges on having a consistent look for each floor. We took each floor and field measured each drapery pocket per floor to maintain the alignment and integrity of the design. The challenges with the existing elevator shaft were that it too was askew which also needed to have precise measurements and monitoring from our field staff so as not to seriously affect the layout of the offices. Team work, communication and attention to detail were extremely important with this project. This is the main reason why the Cathay Bank project was a success.